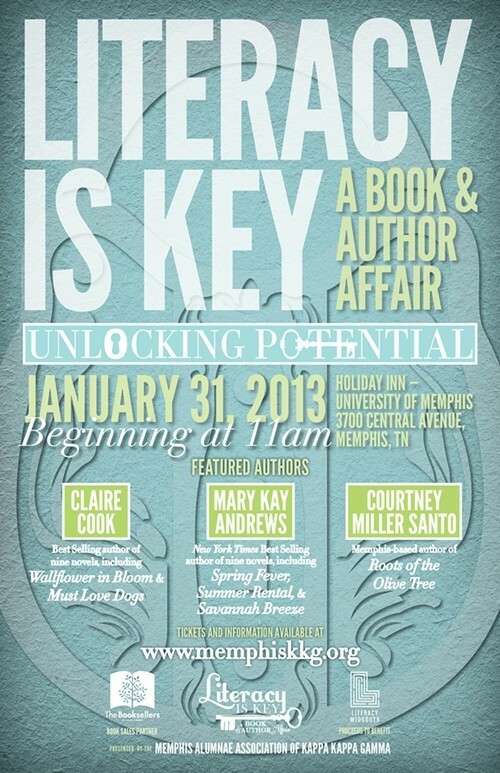 Claire Cook, the novelist whose Must Love Dogs was made into a film starring Diane Lane and John Cusack; journalist turned New York Times best-selling author Mary Kay Andrews; and Courtney Miller Santo, author of The Roots of the Olive Tree and creative-writing teacher at the University of Memphis: These are the featured authors, and January 31st is the date for Literacy Mid-South's "Literacy Is Key: A Book & Author Affair" at the Holiday Inn, University of Memphis. The program starts with a "Prologue Party" of book sales and signings at 10 a.m., followed by lunch beginning at 11 a.m. and author presentations. "Now I know what having a baby must feel like after a four-year pregnancy." Not that Memphis author James Williamson has just given birth. The "baby" came out months ago, and it's called The Ravine, a novel from Sunstone Press that he'll be discussing and signing at the Booksellers at Laurelwood on Thursday, January 10th, from 6 to 7 p.m. He'll also have on hand his debut novel from several years ago, The Architect, which is what Williamson is when he isn't writing: an architect and associate professor in the department of architecture at the University of Memphis. But back to the "baby" and the work of a novelist. "You write the first draft in six months, breathe a sigh of relief, then realize that's just the beginning of it," Williamson said of the writing process. And of his switch from practicing architect to teacher and writer? "I was ready to try something new." Something new is something old in The Ravine, which follows Harrison Beauchamp Polk Jr. from adulthood back to the summer of 1958 in the fictional town of Tuckalofa, Mississippi, where, as the narrator observes, "below the sleepy surface, powerful forces were stirring." Not the least of those forces: the realities of racial injustice and a boy's coming to terms with his family, his church, and his cultural heritage. How closely do the characters and events in The Ravine mirror the author's own experience? Quite a few, as Williamson admitted in a Q&A.